The Foaming Bath - 200ml bottle (€47): A new product, a fine foam, true to the fragrance, which forms immediately upon contact with water. 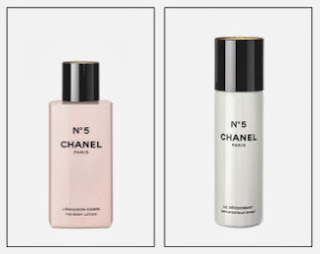 The Cleansing Cream - 200ml bottle (€44) : Another new product, a shower cream with a rich lather that envelops the body with the scent of No5. The Bath Soap - 150g (€25) : New also, this incredibly soft, legendary soap glides over the skin and gently cleanses it. The Body Lotion - 200ml bottle (€52): A new product, a light-touch deliciously scented moisturising and protecting veil for the skin. The Velvet Body Cream - 150ml bottle (€69): The Christmas collection also features a re-promote of the existing Velvet Body Cream in the No5 scent. The Deodorant - 100ml spray (€42). 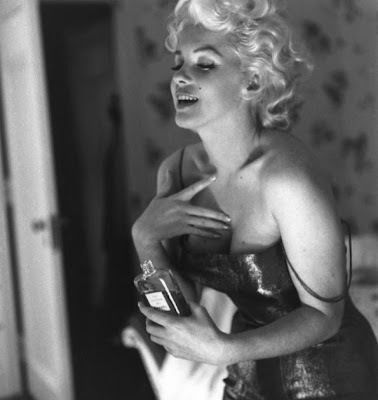 Another new product, a fresh body deodorant with the enveloping notes of No5. The Hair Mist - 40ml spray (€45): I love this idea - a new product, featuring a delicate application of No5 in a fragrant mist that is kind and gentle on hair. The Intense Bath Oil - 250ml bottle (€75) - this one is Limited Edition and few drops are all you need for your bath to take on a fragrant milky appearance. 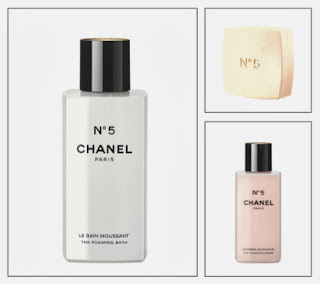 Wonderful for scent layering, and for complete day-long immersion in the No5 fragrance, these products are all being released on the 01st November. All but the Intense Bath Oil are new permanent line products (The Velvet Body Cream is a re-promote). 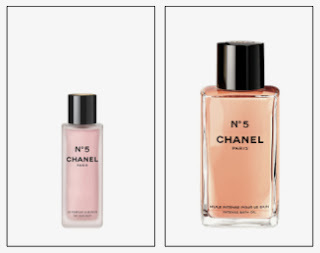 For more on the Chanel No5 line of products, look here.